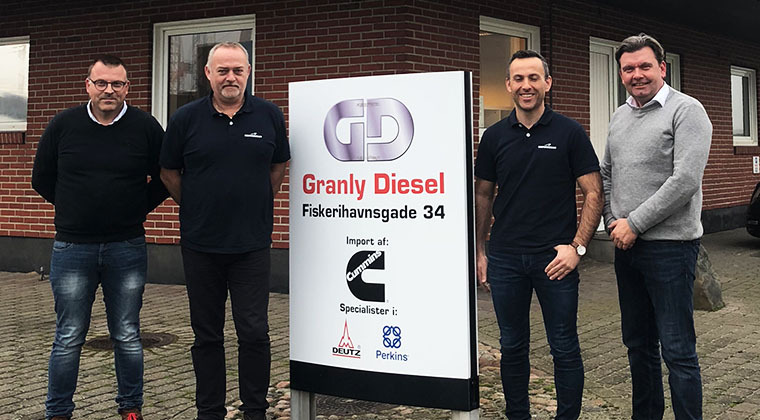 Servogear teams up with Granly Diesel in Denmark to give customers in the region a better service for their propulsion systems. Customers already benefitted from a long-term relationship between Servogear and Granly Diesel. In November the two parties made this relationship formal by signing a service and spare parts agreement, to expand the service scope and available manpower in the area. – This is an important agreement for Servogear. We want to be closer to customers in areas where we have a quite large installed base, enabling us to provide faster and -by that- better service. Granly Diesel is an experienced partner with a long history as a maritime service provider. Responding faster to customer needs means increased availability for our installations on vessels in Denmark and nearby areas, Malvin Teigland, service manager in Servogear states. Servogear and Granly Diesel have been working together for years. The new agreement includes Granly personnel getting a more extensive training program when it comes to Servogear products and systems. Granly Diesel will also handle documentation and will be equipped with tools that altogether will reduce response time and enhance quality of the services. – There are many vessels with Servogear propulsion installations in Denmark, especially within the workboat segment. By strengthening our presence in the region, we are able to give our customers a better product support throughout the entire life-cycle of our installations, Teigland says.